At Springmount Dental & Aesthetics we provide the latest Enlighten® Whitening technology to make your teeth look bright and white. Teeth whitening treatment uses a teeth bleaching process that safely lightens discolourations of the enamel and dentin. Our teeth whitening treatment can give a great boost to your smile. It's also ideal if you've got a special occasion coming up and want to look your best! To achieve the safest and best results, whitening treatment should always be carried out or overseen by a registered dentist. Teeth whitening can be used as a stand alone treatment or as part of a complete smile makeover, improving the overall appearance and health of your smile. Teeth whitening is both safe and cost effective. With instant results, our Enlighten® Whitening solution is a great way of giving your smile a boost, erasing stains and helping you to look younger. We guarantee Vita shade B1 for every patient and long lasting whitening results with low sensitivity. There are many causes of tooth discolouration. Tooth colour is mostly an inherited trait, but in addition to hereditary factors, tooth colour also depends upon the condition of the teeth, general dental health, and lifestyle considerations. External causes include the consumption of staining substances such as coffee, tea, fizzy drinks and smoking. You'll be pleased to know that tooth discolouration caused by these substances usually responds extremely well to teeth whitening. Bleaching can also reduce stains caused through the natural ageing process. Such stains accumulate in the small cracks and chips of your teeth. At Springmount Dental & Aesthetics, we are pleased to be able to offer a whitening system tailored to you. The Enlighten Evolution systems offer options to suit your needs. The ‘Home’ kit offers a chance to gradually improve the shade of your teeth by wearing bespoke comfortable moulds for 14 nights. The ‘In-Office’ option includes a whitening session in surgery - guaranteeing your lightest shade possible. During a thorough oral examination, Malcolm will determine if you are a viable candidate for the Enlighten® tooth whitening process. During this appointment, you will discuss which whitening option is suitable for you. Once you have decided to go ahead, Malcolm or Katie will create a bespoke mould to fit your teeth perfectly. This mould will enable us to create trays that will contain your Enlighten® teeth whitening solution. Wear your Enlighten® whitening trays overnight for two weeks. If you have chosen to have the home and office whitening, it is at this point that you will visit us again for the final 60 minute treatment. The final treatment is undertaken in the surgery and gives your whitening treatment the finishing touch and takes you to the whitest shade possible. Maintain your new smile with Enlighten® Evo-White toothpaste or tooth serum to further protect your teeth. We offer the high performing Enlighten® Whitening system that allows you to whiten your smile in the comfort of your own home. It's the only system to guarantee Vita Shade B1. Enlighten® is widely acknowledged as the most effective whitening system in the world. It’s the only one that guarantees a Vita shade B1 for every patient and it has a 98% success rate. 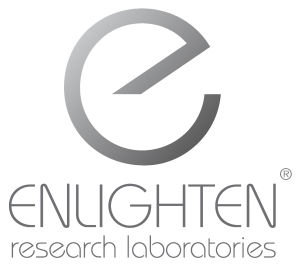 Enlighten® is the only whitening brand to give you guaranteed long-lasting whitening results AND low sensitivity. Which staining foods must you avoid when undertaking teeth whitening? None at all. With Enlighten®, you get exceptional whitening results... without any change in your diet. Enlighten® whitening treatment works straight through the enamel and does not harm the tooth surface. Most people can have teeth whitening, provided they are not pregnant or allergic to the whitening gel. If you have dental crowns, bridges or veneers, whitening will not affect the shade of these teeth. However, alternative treatment may be suitable which improves the appearance of these teeth. Teeth whitening has been researched for over 20 years and there are no adverse reactions to it. Teeth whitening is a harmless procedure and causes no permanent damage to the enamel. Can teeth whitening cause tooth sensitivity? If sensitivity from tooth whitening is to occur, it will only be during the early stages of treatment. Sensitivity will disappear within 1-3 days of stopping treatment. Tissue irritation most commonly results from an ill-fitting mouthpiece tray rather than the tooth bleaching agent. There will be no long-lasting effects on tooth sensitivity post whitening treatment.